The tube is one of the best ways to travel across central London and many people use it, especially to go to work on a daily basis. Unfortunately, when you share public transport with so many people day in day out, there are certain habits that you notice and that start irritating you. I take the tube regularly and categorised the different types of people that exhibit these annoying habits. How do you call someone who can’t read signs? All escalators in the tube stations have clear signs to stand on the right so as to allow others to walk by on the left. Despite these obvious signs, some not so clever people still stand on the other side or worse, stand in the middle. A loud ‘excuse me’ will get them to move fortunately. Tourists could be forgiven for not seeing the signs but Londoners frequently stand on the left. No excuse for them. One for them, one for their bag. 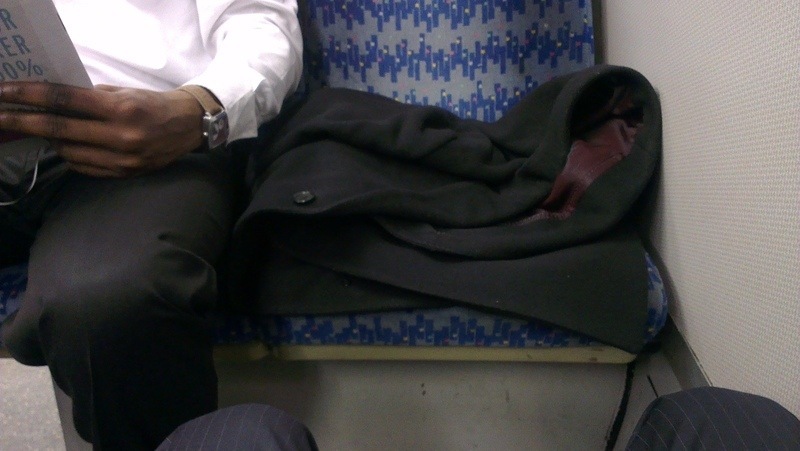 Is that bag so precious and clean that it needs its own seat? If the passenger bought a second ticket just for it, fair enough. But otherwise, he shouldn’t take up additional seats. I like to head straight to seats taken up by people’s bags despite plenty of others seats being available and then watch their annoyed expression while I get them to remove their bag from the seat. London is full of tourists and tourists often carry big backpacks. Don’t you just hate it when some people leave their backpack on them in a packed carriage? Even worse when they turn around and hit you in the face. Always give them plenty of space so you don’t get hit. Maybe that’s what they want. But in a packed carriage, where will you find that space? Very common as the evening progresses, the sleeper takes you for his pillow and lays his head on your shoulder as he falls asleep. I delight in waking these people up every time with a flick of my shoulder. Maybe I should start selling pillows on the tube or make my shoulder available for hire. Usually guys, they think the bigger the better. I’m referring to the broadsheet newspaper they are reading in a packed carriage, taking up as much space as two people as they open wide their newspaper. Sometimes even the Metro newspaper is hard to open – you need to fold in in four to read a story. This is perhaps the female version of The Reader and a hybrid of the 2-seater. The Handbag Lady will keep her precious but oversized handbag on her shoulder at all times while sitting. There is not enough space for both her and her big handbag on one single seat so her handbag ends up poking you in the rib if you are unlucky enough to be the one sitting next to her. No matter how much you squirm in your seat, she won’t move her handbag. For some reason, the handbag always looks ugly. occurring to keep me entertained.